We are going to have our work cut out for us. Staten Island United Soccer and their U15 Gunners Team, has made history by recently being selected to compete in the Dallas Cup from March 29th-April 5th of this year. The Soccer Tournament is held annually and revered as one of the Top 3 Youth Tournaments in the country as well as one of the Top 5 Youth Tournaments globally. The U15 Gunners are the first team in Staten Island’s history to be chosen to participate. The Dallas Cup Soccer Tournament was founded in 1980 and since then has been an invitation only event where handpicked national and international teams compete in front of more than 100,000 spectators for the coveted Boot and Ball Trophy. The long list of past participants include the likes of professionals such as David Beckham among others. Along with the prestige of being selected, also comes the cost associated with travel to Dallas. With that in mind, Staten Island United has partnered with Buffalo Wild Wings, located at 1447 Richmond Avenue, for a fundraising event where 15% of patrons food purchase will be donated to the Gunners. The event will be held on Wednesday, March 11th from 6-9PM. For more information please visit http://www.StatenIslandUnited.org or dial (347) 682-1940. Donations can also be made via check. 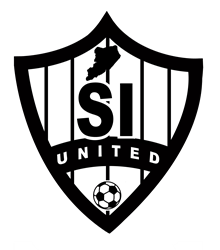 SI United Soccer Club is Staten Island’s largest travel soccer organization. Our mission as a club is to provide a positive atmosphere and implement a means of development for coaches and players. Our players will embrace such values as positive character, self-worth and physical well-being while engaging in the competitive soccer environment. We are focused on the overall development through training, team experiences and social interaction. Learned life concepts will be a tremendous asset in helping our players attain their goals both on and off the field.